There is no other Lady Gaga tribute as accurate, as breath taking and as talked about as multi-Award Winning Donna Marie's Lady Gaga tribute. 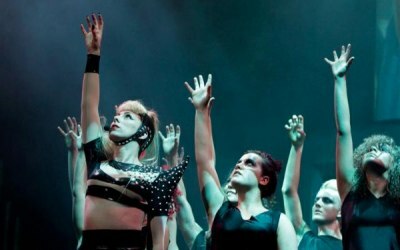 This show is the Lady Gaga tribute that raises the benchmark for all other tribute acts. The show is a visually stunning and dramatic theatrical performance that recreates all of the drama, glitz and glamour of Lady Gaga's most memorable performances. Donna Marie as Lady Gaga is internationally acclaimed as the "Best Lady Gaga Tribute on the planet"! Even the real Lady Gaga agrees. LADY GAGA - " Oh my god you look just like me, you are amazing"
Lady Gaga squealed with excitement up on meeting Donna Marie! 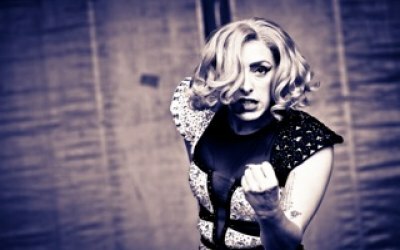 Donna Marie has always made a lasting impact on her audience and is now internationally recognised as the world's most authentic Lady Gaga tribute act and show. Her uncanny natural resemblance to Lady Gaga and convincing and realistic performances, have audiences asking themselves the question ... Who is the real Gaga? Donna Marie has won many Awards for her Lady Gaga tribute show including the prestigious GOSCAR awards for the Best Act of 2010 & 2011. She has been crowned The Official UK No1 Lady Gaga Tribute by the Agents association at the National tribute music awards in 2013, 2016 & 2017. Get quotes from Lady Gaga Tribute & Impersonator and others within hours.